Leonard B. Siemens was born in Horndean, Manitoba on January 5, 1926. He grew up working on the family farm and graduated from the high school in Altona in 1944. During the summer Leonard enrolled in the Faculty of Agriculture at the University of Manitoba, however, Canada was still involved in WWII and Leonard was ordered to appear at the Fort Osborne barracks. He was to have a medical and be inducted into the Canadian army as a conscript. Thankfully, due to flat feet and his mother’s prayers, Leonard was exempted from military service and allowed to continue at the University. In a few years Leonard obtained his B.S.A in Plant Science and in 1948 landed his first job as Fieldman at the Manitoba Sugar Company. He worked closely with the farmers and their products (sugar beets, sunflowers and rapeseed), raised salaries and marketed Safflo (refined sunflower-seed oil). Leonard was active in the Altona Chamber of Commerce and elected to the Board of Directors of the Manitoba Chamber of Commerce. During the Red River Flood in 1950, Lenoard was assigned the job of the Altona and District Coordinator of Emergency Relief Activities. One major evacuation he was involved in was the movement of students and faculty of the Canadian Mennonite Bible College from its facilities on Wellington Crescent in Winnipeg to the Elim Bible School and residences in Altona. On September 13, 1952 Leonard married Elly Olive Enns (born Feb. 12, 1925). They have four daughters, Becky, Charlotte and twins Judith and Janice. In 1955 Leonard began working for the Manitoba Legislature as Special Crops Agronomist. Farmers were still mostly producing wheat, oats and barley at a very low yield. Leonard led the farmers into specialty crops like rapeseed (now known as canola), soybeans, corn and sunflowers. After working for the Government for 13 months Leonard moved to the University of Manitoba to become an Assistant Professor with the department of Plant Science. Leonard became the Department’s Extension Agronomist. He was also encouraged to obtain his Master of Science degree at the same time. The research he would normally be required to do as a faculty member became part of his thesis research. Leonard received his Master of Science degree in 1960 and was encouraged by the University to continue his studies while teaching. In 1965 he received his Master of Arts degree in Sociology from the University of Manitoba. Meanwhile the Canadian International Development Agency (CIDA) had contracted with the faculties of Agriculture and Engineering at the University of Manitoba to assist in the development of a new University near Kohn Kaen, in North-East Thailand. In 1965 Leonard and his family went to Thailand for two years where he taught and was appointed team leader of the Manitoba contingent. Leonard returned to the University of Manitoba and was, in time, granted tenure and promoted to full professor. In 1975 he was appointed Associate Dean of Agriculture. In 1977 CIDA again invited the University, through the faculty of Agriculture, to participate in a long term development program of the School of Agricultural Sciences at the University of Zambia, in South-Central Africa. Leonard was appointed director of the project and visited at least once a year until the project wound down in 1995. Although Leonard retired from the University in 1989 he continued to be involved with CIDA for many years. During the years, Leonard was often asked by Mennonite Central Committee to partake in reviews of its agriculture and development activities in Paraguay, India, Pakistan and Bangladesh. Leonard and his family attended Fort Garry Mennonite Brethren Church, and Leonard was also involved with the Mennonite Brethren Church and Conference. The material was donated to the Centre for Mennonite Brethren Studies by Leonard B. Siemens in August of 2005. Mr. Siemens had organized the materials by year into separate binders and had very carefully created an extensive index. The order has been maintained although the binders were exchanged for archival file folders. Location: Vol. 1139 and 1140. Arranged by Leonard B. Siemens. Described by Tamara Dyck, December 6, 2007, updated by Conrad Stoesz August 23, 2011. I. Leonard Siemens writings series. – 1955-2007. This series consists of speeches, publications and papers written by Leonard over the years. Finding aid: Vol. 1139, No. 1-133. II. Correspondence series. – 1967-1987. This series consists of correspondence related to public addresses given by Leonard Siemens. Finding aid: Vol. 1139, No. 134-136. III. Significant correspondence series. – 1965-1995. This series consists of correspondence with regards to Khon Kaen, with Mennonite Central Committee (MCC), Mennonite Brethren Bible College (MBBC), Mennonite Brethren Missions/Services (MBMS), University of Manitoba (U of M), and others. Finding aid: Vol. 1140, No. 1-6. IV. Newspaper clippings series. – 1962-1986. This series consists of various newspaper clippings collected by Leonard B. Siemens over the years. There is no apparent arrangement. Finding aid: Vol. 1140. No. 7. V. Honorary degrees series. – 1989, 1992. This series consists of correspondence, certificates, clippings and other related information regarding the two honorary degrees awarded to Leonard B. Siemens. Honorary Doctorate of Science (Agriculture), Khon Kean, University of Thailand, December 23, 1989 and Honorary Doctorate of Science (Honaris Cansa), University of Zambia, November 27, 1992. – 1989- 1993. Finding aid: Vol. 1140, No. 8-9. I. Leonard Siemens writings series. 1.“Special crops in Manitoba”, Manitoba School Journal, Vol. XVI, Winnipeg, June 1955, Number 10, p. 9-11. – 1955. 2.Seed grain cleaning in Manitoba. – 1956. 3.The Need for agricultural education today. – 1957. 4.Address at the President’s Breakfast, Manitoba Chambers of Commerce Annual Convention, Brandon, Manitoba, November 8, 1957. – 1957. 5.Observations on university extension. – 1958. 6.Report on hail research in Manitoba to the Canadian Hail Underwriters Association. – 1959. 7.“Responsibilities of the universities”, Proceedings of the Canadian Society of Rural Extension. – 1961. 8.Contribution of the University of Manitoba to agriculture in the Red River Valley. – 1961. 9.Cropping systems: an evaluative review of literature. – 1963. 10.“The Effect of varying row spacings on the agronomic and quality characteristics of cereals and flax”, Canadian Journal of Plant Science, Vol. 43, April, 1963. 11.Some socio-psychological aspects of innovation. – 1963. 12.The Role of man in modern society. – 1963. 13.Leadership patterns in a Manitoba agricultural fishing community. – 1964. 14.Ethical conditions today. – 1964. 15.Address to the Annual Convention of the Manitoba Federation of Fishermen. – 1964. 16.“Leadership identification among the Lake Winnipeg fishermen”, The Regional Review. – 1964. 17.Changes in the “Image” of the farmer through simulated T.V. exposure: a comparison of rural and urban college students. – 1965. 18.The Influence of selected family factors on the educational and occupational aspiration levels of high school boys and girls. – 1965. 19.Educational plans and their fulfillment: a study of selected high school students in Manitoba. -- 1965. 20.School-related factors and the aspiration levels of Manitoba senior high school students. – 1965. 21.Some rural-urban differences between Manitoba high school students. – 1965. 22.MCC became real in Hong Kong to this family enroute to Thailand. – 1965. 23.“Tobans in Thailand”, The Alumni Journal. – 1966. 24.“The Fishing industry in a period of rapid adjustment”, Fishing. – 1966. 25.“Agricultural education in Asia: reflections on a F.A.O. conference”, The Canadian Mennonite. – 1966. 26.“… Another kind of war”, Family Herald. – 1966. 27.“Centennial Celebrations in Northeast Thailand”, Bulletin. – 1967. 28.Leadership patterns in a Manitoba agricultural-fishing community. – 1967. 29.Le Leadership dans une collectivite d’agriculteurs-pecheurs du Manitoba. – 1967. 30.The Plant resource. – 1967. 31.Graduation address Sanford-Brunkild Collegiate. – 1967. 33.“Manitoba Professors at Thai University”, International Development. – 1968. 34.Cooperatives: meeting relevant human needs. – 1968. 35.Family influences and the child’s future. – 1968. 36.“Cooperatives: meeting relevant human needs”, Canadian Co-op Digest. – 1968. 37.Research on Triticale and related species. – 1968. 38.Family Camp, Arnes, 1968, Facing facts in the secular city. – 1968. 39.Graduation address Winkler Collegiate. – 1968. 40.Cross-cultural understandings, 1969 orientation. – 1969. 41.Planning communities for the North: some social and psychological influences. – 1969. 43.Leadership training program in the local church. – 1970. 44.Interdisciplinary research on resource frontier communities. – 1970. 45.Contributions of professional associations to world development. – 1970. 46.The Research program of the Center for Settlement Studies. – 1970. 47.“The Professions can contribute”, CUSO Bulletin. – 1970. 48.“International development-golden opportunity for Canadian professional associations”, aic Review. – 1970. 49.The Family of man under pressure. – 1970. 50.“Planning communities for the North: some social and psychological influences”, Series 5, Occasional papers no. 1. – 1970. 51.“The Professions can contribute to world development programs”, Bulletin. – 1970. 52.The Green revolution: what it means to people. – 1971. 53.The Church’s role in international development. – 1971. 54.“Changes must be made as the Green revolution may be short-lived and the miracle varieties only buy time”, aic Review. – 1971. 55.The Center for settlement studies project on quality of living in resource frontier communities. – 1971. 57.Report on agricultural experimentation and extension study in Mennonite colonies of the Chaco and East Paraguay. – 1972. 58.After dinner talk, Winnipeg Branch, Canadian Institute of Mining and Metallurgy. – 1972. 59.Single-enterprise community studies in Northern Canada. – 1973. 60.“Success of Canada-Thai university aid”, Canadian Geographical Journal. – 1974. 61.The Christian and his material possessions. – 1974. 62.Thought for food. – 1974. 63.Remarks at the second annual program: Manitoba Horticultural Industry Days. – 1974. 64.For I was hungry … -- 1975. 65.“The world’s shrinking granaries: ‘For I was an hungered…’”, Mennonite Reporter. – 1975. 66.Research funding in transition: centers and institutes. – 1975. 67.Trip reports: Indonesia (Edgar Stoesz), Bangladesh, India. – 1975. 68.On visions and people. – 1975. 69.“An update on the food picture”, Gospel Herald. – 1976. 70.Give ye them to eat. – 1976. 71.“Food power: how will we use our new political clout?”, The Christian Leader. – 1976. 72.“Single-enterprise communities on Canada’s resource frontier”, Journal of Urban and Environmental Affairs. – 1976. 73.“We are the rich man”, Mennonite Brethren Herald. – 1976. 74.“The Church and the third world: ‘what’s mine is yours and we’ll share it’”, Mennonite Reporter and Carillon News. – 1977. 75.World food population issues, summary outline. – 1976. 76.Joy in sharing and caring. – 1977. 77.The Sigma XI chapter of Winnipeg “World Food”. – 1978. 78.University of Manitoba contribution to international food and agriculture programs. – 1979. 79.The Experience of being involved in international programs – it’s effect on faculty and departments. – 1979. 80.Flowers of tomorrow – seeds of today! – 1979. 81.“Ecological agriculture – a point of view”, agrologist and original manuscript. – 1979. 82.On becoming our potential in the Altona-Rhineland community. – 1979. 83.Draft outline of final report on Canada’s scientific and technological contribution to world food supply. – 1980. 84.“Ecological agriculture”, World Agriculture. – 1980. 85.Impact of food shortages in the developing countries on international security. – 1981. 86.Sustainable food systems – The Canadian perspective. – 1981. 87.“Rural communities: who is responsible?”, agrologist. – 1981. 88.Canadian agriculture and third world food supply. – 1981. 89.The Faculty of agriculture’s role in extension. – 1981. 90.2 copies of Overall review – the real needs. – 1981. 91.The World food situation “Now”. – 1981. 92.Evaluation of mobile pastoral training unit, Kenya. – 1982. 93.“From maintenance to mission” at the Mennonite Brethren Biblical Seminary. – 1982. 94.Vignette on freedom. – 1983. 95.“Sustainable food systems”, The Christian Farmer. – 1983. 97.Summary report of the crop diversification pre-feasibility mission to Bangladesh. – 1983. 98.The servant as change agent. – 1984. 99.Food aid: help or hindrance. – 1984. 100. Guidelines to twinning. – 1985. 101. Contemporary issues. – 1985. 102.Two copies of Canadian Association for Development Through Education, banquet address. – 1985. 103.Agriculture-industry linkages at the University of Manitoba. – 1985. 104.Reflections on thanksgiving: standing among the ten. – 1985. 105.The Discipline of study, Fort Garry M.B. Church. – 1986. 106.The Family farm, can it be saved? – 1985. 108.Commencement proceedings and remarks, diploma graduation, School of Agriculture. – 1986. 109.Canada’s International Relations: Agriculture and developing countries. – 1986. 111.Celebration of study. Opening convocation address and program, Mennonite Brethren Bible College. – 1986. 112.Observations and reflections on Lawrence Burkholder’s paper. – 1986. 113.Notes on Canada and the world food program. – 1987. 114.“A Different kind of missionary”, Mennonite Brethren Herald. – 1965. 115.Script for July 1, 1966 Farm broadcast special program for Western Canada. – 1966. 116.“Be Joyful! Sing to the glory of His name (Ps. 66.2)”, The Christian Leader. 00 1978. 117.The UNZA Project: phase two, summary report, 1984-1989. – 1989. 118.“Assessing world resources”, Direction. – 1992. 119.Acceptance address at University of Zambia on receipt of Doctor of Science. – 1992. 120.My delightful and privileged career: areas of employment 1947-1990. – 2003. 121.My call to arms in World War II 1939-1945. – 2003. 122.Note from Elmer. – 1992. 123.Curriculum Vitae Leonard B. Siemens. – 1993. 124.Binder of retirement comments, L.B. Siemens, University of Manitoba, 1956-1990. – 1990. 125.Point of view – CBC Radio. – 1965. 126.Towards a philosophy of agrology. – 1965. 127.Practising agrology in extension and industry: some implications for curriculum building. – 1965. 128.“Fishing in Malaysia”, Fishing. – 1966. 129.Plastic seed coating and slow release pelleting …-- 1968. 130.“North American food power: who will benefit”, Mennonite Reporter. – 1976. 131.Give ye them to eat. – 1976. 132.Original index of papers, compiled by Leonard B. Siemens. – 2003. 133. 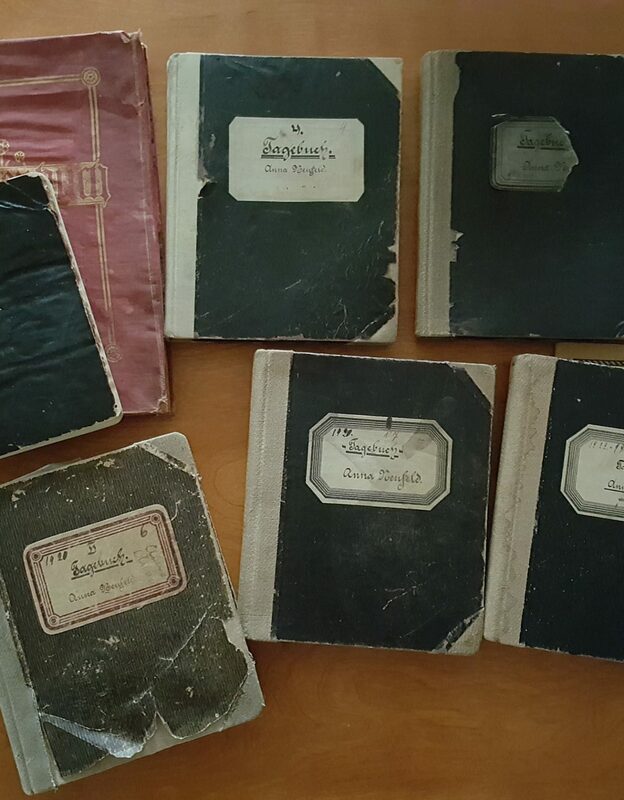 Articles by Leonard B. Siemens related to Fort Garry MB Church. -- 1965-2007. 1.Correspondence with regards to their trip to Khon Kaen. – 1965-1995. 2.Correspondence with MCC. – 1965-1982. 3.Correspondence with Mennonite Brethren Missions/Services (MBMS). – 1974-1976. 4.Correspondence with Mennonite Brethren Bible College (MBBC). – 1966-1986. 5.Correspondence with the University of Manitoba (U of M). – 1971-1991. 7.Clippings from various newspapers about Leonard B. Siemens and his work. – 1962-1986. 8.Materials associated with Leonards Honorary Doctorate from Khon Kean. – 1989-1991. 9.Materials associated with Leonards Honorary Doctorate from the University of Zambia. – 1991-1993. NP178-01:1Leonard B. Siemens. - 1985. - 9x12.5 cm [b&w]. This photo is of Leonard standing at a podium. It was taken at a seminar (?) through The Canadian Organization for Development through Education (CODE) in 1985. NP178-01:2Leonard and colleagues. - 1985. - 9x12.5 cm [b&w]. This photo is of (l-r) Robert Dyck (National Director of The Canadian Organization for Development through Education, CODE), William R. Jackson (Director of Administration at CODE) and Leonard Siemens. It was taken during a seminar (?) through CODE. NP178-01:3Leonard at Khon Kaen, Thailand. - 1989. - 10x15 cm [col]. This photo was taken on the night the Khon Kaen, Thailand Chapter of the University of Manitoba Alumni Association hosted a reception dinner in honor of Leonard and Olive Siemens. It was taken the day after Leonard received his honorary degree from the University of Thailand. Leonard and Olive are sitting together on the left side of the table inbetween two colleagues. NP178-01:4Leonard Siemens and group in Zambia. - 1992. - 12.5 x11.5 cm [col., 3 layers]. This photo was taken in Zambia on the occasion of Leonard Siemens being awarded an honorary degree at the University of Zambia in 1992. Leonard and Olive are standing together in the last row on the left. NP178-01:5Leonard B. Siemens receiving award. - 1989. - 13x17.5 cm [col.]. This is a photo of Leonard B. Siemens receiving his honorary degree at the University of Thailand in 1989. Leonard is on the left.